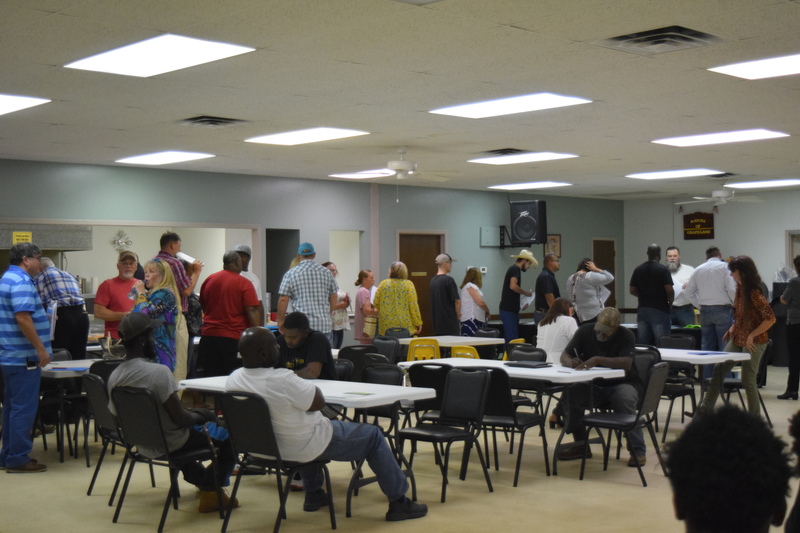 GRAPELAND – A job fair for the soon-to-be open Darling Ingredients plant in Grapeland was held on June 28 and – according to Darling representatives – it was a big hit. Tom Molini, South Region Vice President of Darling Ingredients, Inc. was in attendance at the job fair and was asked about the event’s success. 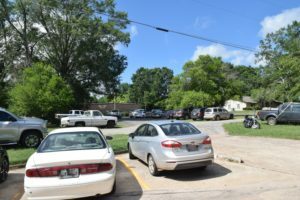 The VP commented the event was supposed to start at 10 a.m. but by 8:30 a.m. people were waiting outside the doors of the Grapeland Senior Citizens Center – where the job fair was held. “We have 58 openings we’re hiring for. Hopefully, they will all come from this job fair. We are looking to have another job fair later in July. Hopefully, we can do some interviewing done at that point and get the people we need,” he said. Of the people hired by Darling Ingredients, several will be asked to train at the company’s Bastrop location, until the Grapeland plant is up and running. Concerning the Bastrop plant, Molini said that plant is nearly identical to the one currently under construction on FM 227. “We want to be able to hit the ground running when we get here. We are going to hire some people early so we can get them over there and get them trained,” he said. The event was hosted by the GEDC and had been “terrific” according to GEDC board member Brandon Bridge who was also in attendance. “People were here early and we are really pleased with the outcome. Darling Ingredients – their management is all very pleased with the turnout as well. We were almost overwhelmed by it. We’re running short on applications,” Bridges said. Bridges added there will be a follow-up job fair on July 26. Representatives from Vulcraft were also on hand during the job fair. “We want to help them as new members of the community and if we have people we can refer to them, we’ll be happy to do that. This is just a way to help them get started. We participate in a lot of job fairs to get our talent network and our name out there,” Rhonda Wuerch, a human resources executive with Vulcraft explained.